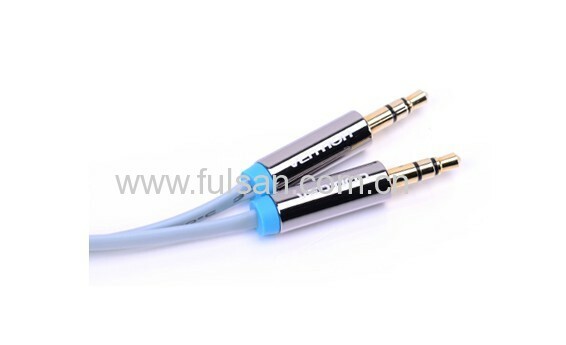 3.5mm male to male stereo audio/video cable. 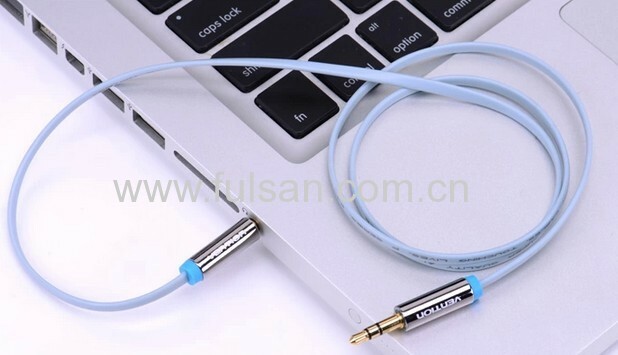 Can connect two devices with 3.5mm Stereo jacks, like Cell phones, Mobile Phones, Some MP3 players, etc. 3.5mm Stereo Audio Cable specifically designed for quality audio applications. 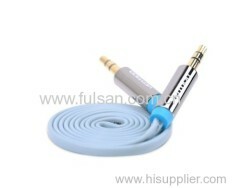 Standard 3.5mm jack on both ends. Gold/Nickel plated stereo plugs for higher quality transmission. 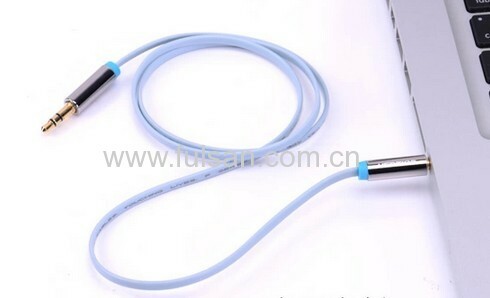 This cable is RoHS Compliant for the Highest Standards in Europe. Connects different types of audio devices together including Sound Cards, MP3 and connections to multimedia speakers. Connects your audio devices to your car stereo player(if it has 3.5mm aux-in)as an auxiliary input. 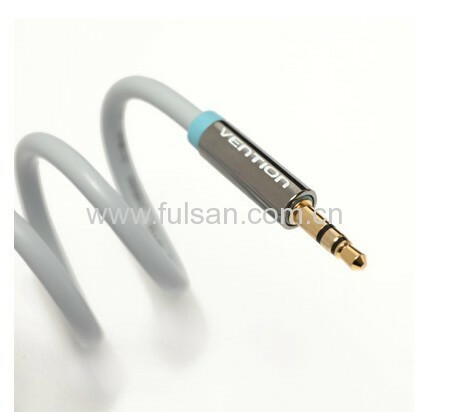 - Connectors: Single stereo plug (male) to stereo RCA plug (male). 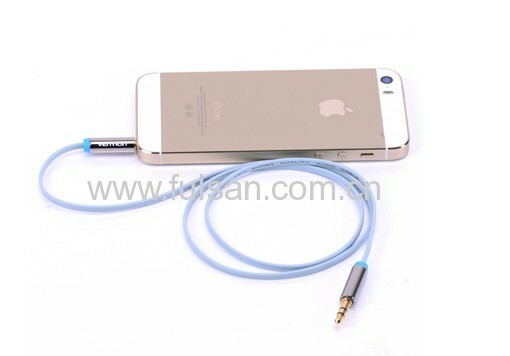 - Fully molding connectors provide excellent strain relief. - Nickel-plated sterei connectors give you solid corrosion-free contact. 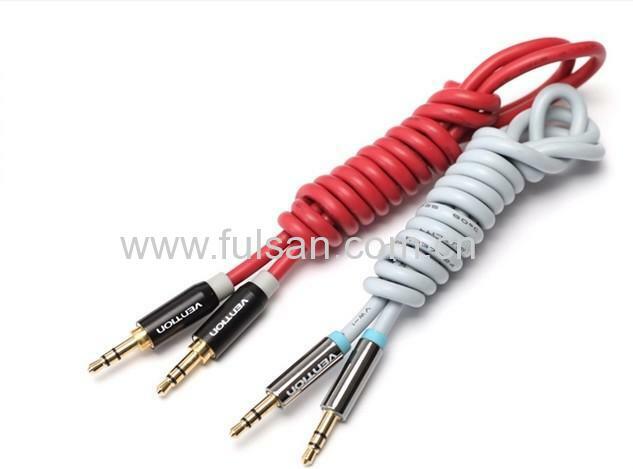 - Improves digital signal delivery as compared to standard stereo type audio cables. - Capacitance: 22PF per foot.